Christmas shopping is on the horizon and we have to start thinking about what is good for who and where we plan on getting them from. 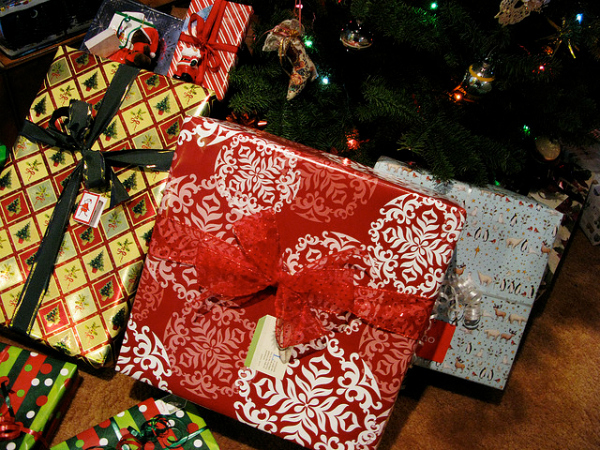 Some are easier to think of than others: dad will always enjoy booze, golf gadgets and slippers, brothers will take any video game going, and sisters crave accessories, but mums have a practical and fast get-stuff-done attitude that can make them extremely difficult to buy a present for. Anything without a practical use will be met with a disappointed glare that you’ll be forced to return in favour of something useful. Here are some Christmas present ideas for mum that will make sure you impress. We’ve established that a Christmas gift needs to be practical, so why not help with Christmas dinner. That doesn’t have to be as obvious as a kitchen utensil or something that suggest she spends all her time in the kitchen, you could offer a useful contribution to the Christmas dinner in a dish. E.G. prepare part of the Christmas dinner, then bring it along in a fancy new dish or pan, which will work as a double gift. People only tend to consider away days when buying for their dads, but there are plenty of events available for mums too. Pick something to do mid-January that will take away that depression of having to pay back on everything you’ve spent in the holiday. Match that up to something physical and you might even work down some of that extra turkey fat too. Aside from cooking things, a gift that you’ve made yourself can hardly be refused. Although this may sound like an easy way out of present getting, your attempt at making an origami swan from a fiver will not be good enough. You’ll have to apply some actual skill to your present making, be that woodwork, painting, writing, whichever you’re best at. Go for it. This can often be a good rule of thumb when buying gifts for most people. The chances are that if you think it’s cool, even if they wouldn’t like it normally, your own enthusiasm for the thing you’re giving will shine through. Unfortunately, this won’t work for mums. This comes down to their incredibly practical nature again: you may love the latest Supersoaker, but she won’t. Disclosure: This post was brought to you by Getting Personal. My mum is really hard to get something for. Come December I’ll still be stuck, I know it! Mmmmm – I tend to disagree – my dad is a nightmare – what do you buy an old fashioned bloke who won’t wear new clothes and has everything! I feel bad buying him slippers and a Toblerone all most every year lol!